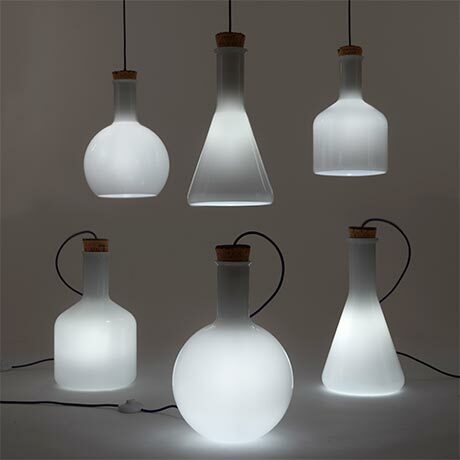 These lamps inspired by traditional laboratory beakers from London-based design team Authentics are so cool! They look uber geeky, but are also quite stylish. 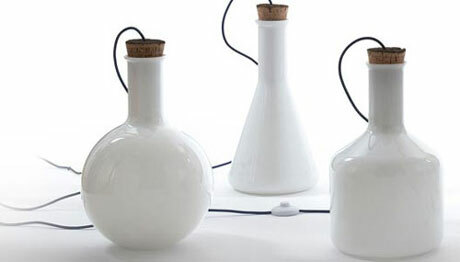 The lamps come in three different shapes (cylinder, conical and sphere), two different colours (white and grey), and two different types (pendant and floor). They’re all available on Fab at the moment: the white ones cost £255 and all the greys ones costs £269. What do you think of these? I think they’d look awesome as kitchen lighting: it’s recipe experiment time!